Check out the genuinely creepy trailer for the IT remake. Released 7 September 2017 (Australia) and September 8 (USA and UK). 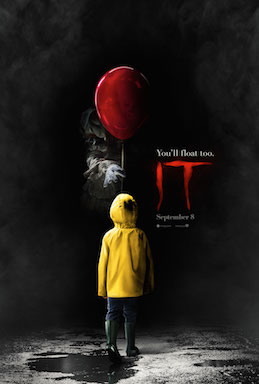 The films stars Bill Skarsgård, Jaeden Lieberher, Jeremy Ray Taylor, Sophia Lillis, Finn Wolfhard, Wyatt Oleff , Chosen Jacobs, Jack Dylan Grazer and Nicholas Hamilton. Andrés Muschietti directs.